Crude made solid gains last week, rallying in the final two sessions of the week as traders believe crude oil prices will rise in the face of falling Iranian supplies ahead of U.S. sanctions that begin on November 4. This marks the third consecutive week of gains for crude, while September led to a second monthly gain for both the global benchmark Brent crude and the U.S. benchmark West Texas Intermediate crude. November WTI crude added $1.13, or 1.6%, to settle at $73.25 a barrel and posting its highest close since July 10. Global benchmark November Brent tacked on $1.00, or 1.2%, to expire at $82.72 a barrel. The December Brent contract, which is now the front month, added $1.35, or 1.7%, to $82.73, a four year high for the global benchmark. For the week, based on the front-month contracts, Brent crude was up 5%. It saw a monthly gain of around 6.8% and a quarterly advance of 4.1%. U.S. WTI oil saw a weekly climb of 3.5% and a monthly rise of roughly 4.9%. For the quarter, however, based on the settlement of $74.15 for the front-month contract at the end of June, it ended down 1.2%. Friday saw prices jump higher in early North American trade, likely on news that China has already begun cutting back on its purchases of Iranian crude ahead of the sanctions. Markets were also boosted by news from the White House that the U.S. has no plans on tapping its Strategic Petroleum Reserves to push crude prices lower. Even more, the past week OPEC, Russia and their oil producing allies decided at a meeting in Algiers that current supply levels are adequate, and that there’s no need to increase production at this time. The move was seen as a defiance of President Trump’s call for the cartel to lower oil prices and sent Brent crude soaring above $80 a barrel to start the week. With all the positive fundamental news currently circulating for crude, there’s been little sign of capitulation on the current rally. That could cause a split from historical averages, as the upcoming fourth quarter has historically been the weakest quarter for crude, with refinery maintenance causing worries for demand. Instead, many analysts are anticipating a spike in crude prices to levels above $100 for the first time since 2014. 3. U.S. shale production experiencing growing pains due to workforce issues and pipeline bottlenecks. There are some potentially threatening fundamental factors to consider for crude prices, which could lead to a possible crash scenario similar to the one experienced by crude traders in 2008. One of the most alarming aspects is the trade war between the U.S. and China. 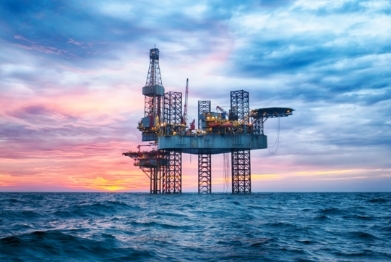 The growing turmoil being caused in Asia and emerging markets could see crude demand fall off sharply if prices increase at the same time as production demands are falling in response to the U.S.-China trade issues. There’s also the assurance from OPEC that they can bring additional production online rapidly if necessary to stem sharp increases in crude prices, or increased crude demand. This could mean rising prices will see increased supplies intended to push prices back down. There’s no doubt that with gains of nearly 5% for WTI crude and 7% for Brent crude in September that the trend is upwards, especially since the past three weeks have all seen solid gains. October is historically the worst month of the year for Brent crude, while November is the worst month of the year for U.S. WTI crude, but with a potential 2 million barrels per day shortfall looming when sanctions kick in against Iran on November 4 that historical trend could easily not be fulfilled this year. There’s still a chance that OPEC could rapidly increase production to lower prices, or that the trade tensions between the U.S. and China could hamper demand for crude in the coming months. Either way, traders need to analyse markets carefully, make solid decisions, and monitor their positions closely. Sources: MarketWatch.com, WSJ.com and Bloomberg.com. CFDs are complex instruments and come with a high risk of losing money rapidly due to leverage. 70.78% of retail investor accounts lose money and 29.22% win money when trading CFDs with cfdglobal.com. You should consider whether you understand how CFDs work and whether you can afford to take the high risk of losing your money.